Sometimes when we speak to businesses about what file backup processes they have, we hear everything is all in hand…great to hear. 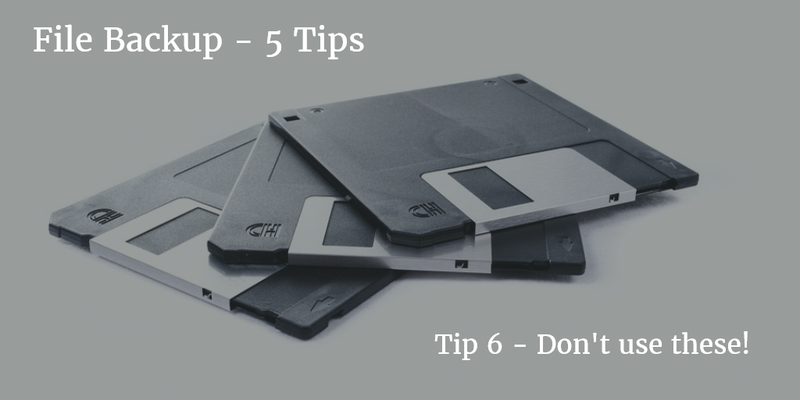 Don’t forget…it is more than your word documents that need backing up! Nearly 40% of the new customer audits we’ve carried out in the last 6 months found either data that was vulnerable to loss, because of where it had been backed up to, and critical business client server software that the business wasn’t aware needed to be backed up. The usual culprits that we come across are Servers, NAS boxes and especially laptops that have not had their data backed up. Just being backed up to a server isn’t enough, the server needs to be backed up too. Most good IT Departments, and Managed IT Service provides, will have sophisticated software to check all machines and their back up routines. They should be able to test and guide you to a solution that is right and cost effective for you. You might want to consider using a backup management software, like Carbonite [there are many to choose from], in conjunction with a cloud or private cloud service. Making sure you back up strategy, and or disaster recovery procedure works. This step is a critical as setting one up in the first place. Tip 4 – Have you forgotten anything? Did you remember to include everything, like your website, client server applications, remote staff…like field based sales people and all your email accounts? Even if you have done everything yourself and happy with everything you have done, it’s still worth investing a few hours expert help to double check everything. If you would like our help, we’re experts in automated backups and business continuity solutions, you can speak to us on 0800 0 11 47 88.